A collection of rare and collectible books donated by Marshall White of St. Joseph will be on display in the Missouri Western State University Library in the Hearnes Center this spring. 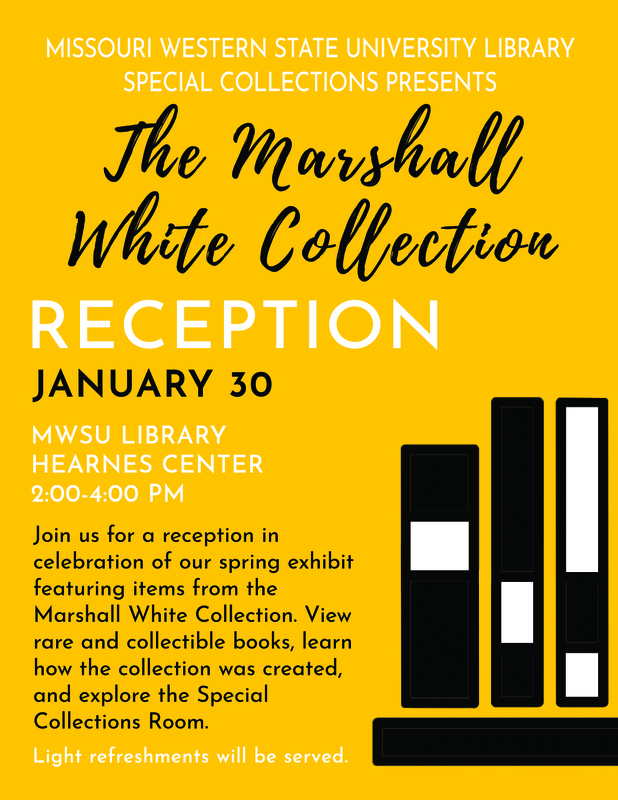 A reception honoring White and the exhibit will be held from 2 to 4 p.m. Wednesday, Jan. 30 in the Hearnes Center. The reception is free and open to the public, and light refreshments will be served. White retired in 2018 after more than 20 years as a reporter for the St. Joseph News-Press. He is an avid book collector, and recently donated a large collection to the Missouri Western Library. Visitors during the reception can view the rare and collectible books, learn how the collection was created and explore the library’s Special Collections Room.